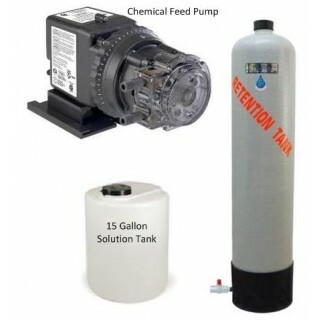 Chemical/Mineral injection feed pump systems are among the most effective, versatile, and cost-efficient of water treatment devices. Depending on the chemical agent used, the same equipment can treat bacteria, including iron and sulfur, reducing bacteria, iron, manganese, low pH, hydrogen sulfide (rotten egg smell), and many other water problems. 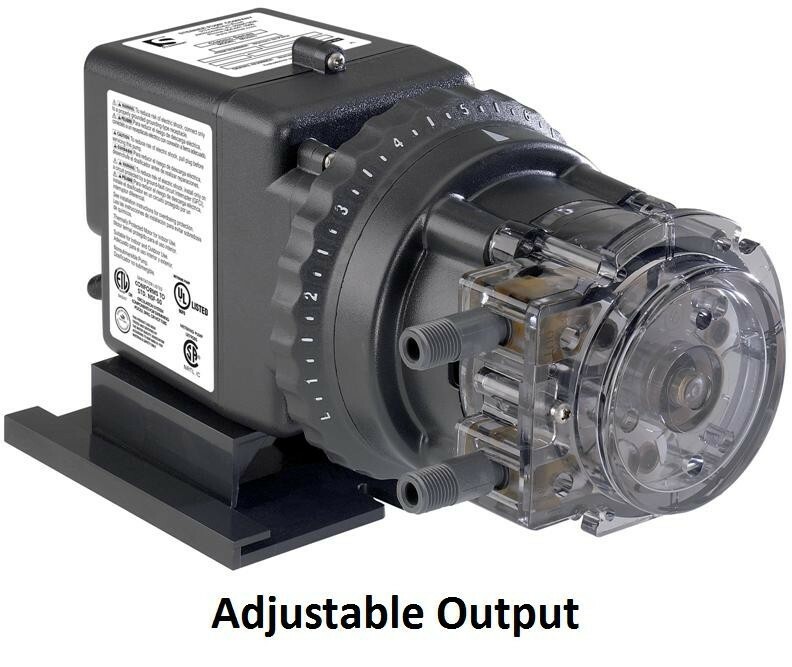 Common chemicals/minerals this pump can inject include chlorine, hydrogen peroxide, soda ash and many more. 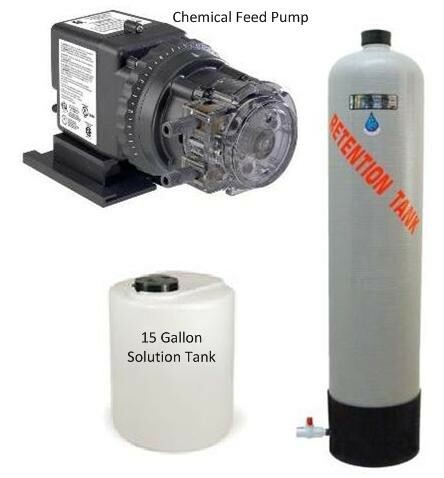 The chemical feed pump is wired to the well pressure switch; when the well pump turns on, it opens power to the chemical feed pump, which in turn draws liquid solution (chlorine, soda ash or hydrogen peroxide) from the 15-gallon solution tank and transfers the liquid to the injection line that feeds the main water supply. 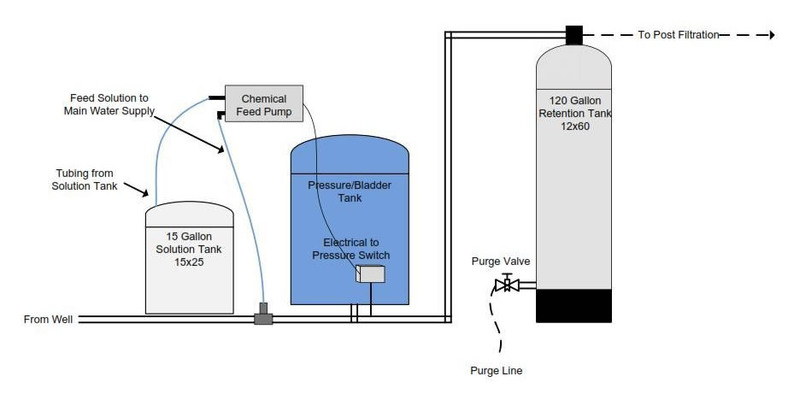 Once the liquid is injected into the main water supply, it enters the Retention Tank (holding tank), which will provide necessary contact time for the liquid to interact with water (chlorine introduced to kill bacteria, neutralize odors or oxidize iron). This step is extremely crucial to optimize the agent injected—more resident time to do its work. Once the agent (for example, chlorine) has had sufficient amount of time to react with the water, iron, for example, will start to precipitate/separate and fall to the bottom of the Retention Tank. There is a purge (blow down) valve located at the bottom of the Retention Tank to blow away the oxidized matter from the tank. 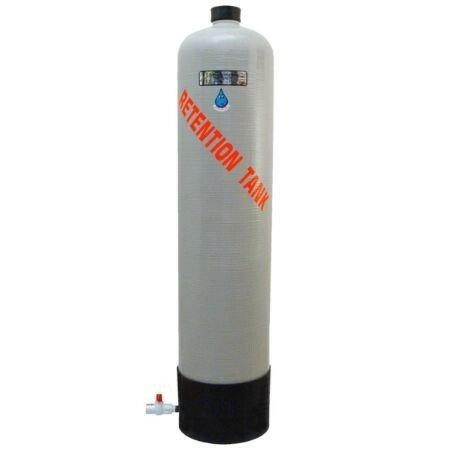 This will help prevent accumulation from building inside the tank and discharging into the service water. Depending on the chemical/mineral agent used, post filtration is often necessary. 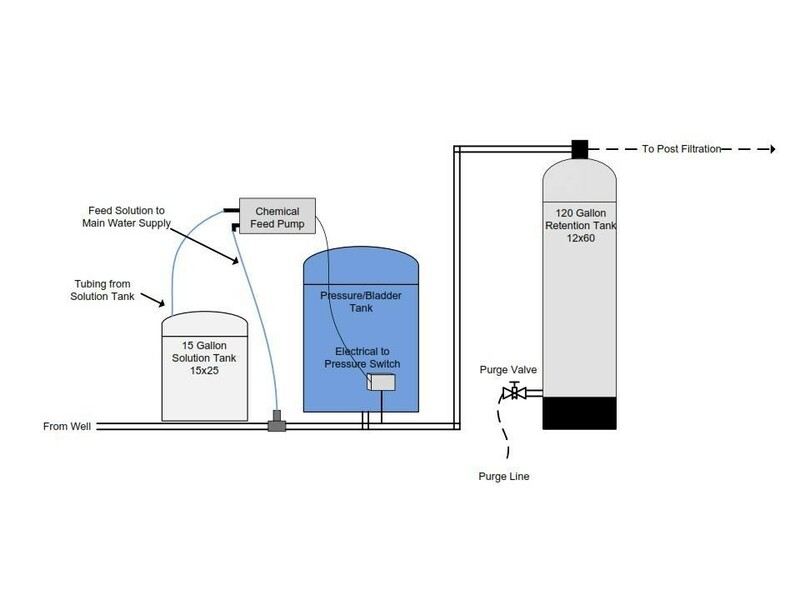 For example, a carbon filter would be used to remove the excess chlorine residual present, or a backwashing iron filter to further reduce the iron level if chlorine were used as thefirst stage of pre-treatment for iron, or simply a sediment filter to trap any “precipitated” contaminant that didn’t fall to the bottom of Retention Tank. 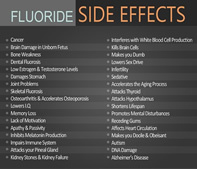 Determining post filtration depends on why chemical injection is being used and the overall water chemistry. Our technical department can recommend the appropriate post filtration required to ensure safe, great tasting water.